Beets! Beets! That’s all we have gotten for 7 days! 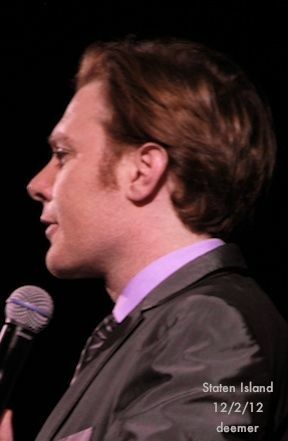 I don’t know about you, but I am missing Clay Aiken and would even like a tweet about broccoli! Last year was a good one for social media. Perhaps most telling is that 40 percent of people said they socialize more online than they do face-to-face. • Facebook is killing it with more than a billion users—twice as many as Twitter. It’s also leading the race for active daily users by a huge margin. • Nearly 60 percent of Facebook users return to the site daily, and half of its users are accessing it via smartphone. • Pinterest is now the third most popular social network. • Instagram surpassed 1 billion photos uploaded. If you find these facts interesting, be sure and visit RAGAN’SPRDAILY This site seems to have everything you would ever need to know about social media statistics. Remember, if you have a topic that you would like to know more about, let me know…Let’s keep it in fields that relate in some way to Clay!! Marlene…I did see those mentions, but since they are a part of Clay's private life with his family, I don't post them here. OH! That was posted at the OFC! It’s interesting to learn new stuff so thanks for a great post. I hope we hear some news from Clay soon but I hope everyone is following Clay on social media as much as possible in the mean time so we’ll be ready. I use Facebook on a daily basis. If there are several tweets by Clay, I'll go to my Twitter account. Just don't use it that much. Pinterest is still something I don't know much about even tho people are "following" me..lol. I mean it's just sharing interests, with no "one on one" communication, right? I know some folks that LIVE on that site, so it must be great. Clay deserves a rest for sure and spending time with family and friends is a must when you are away from home. I hope we hear from him sooooon! Thanks for all the information on the internet. Wow. I'm not sure where I fit in anywhere on these. I don't use Facebook much at all, but I will check Twitter out if there is some "Clay" tweets. Other than that I read the message boards, mostly lurking. Our world sure has changed. I'm glad Clay is taking some time away from public view. We all need to recharge ourselves, and look to the future. Yes, i miss news about Clay too, but he certainly deserves down time with his family and friends, I'm sure we'll hear some news in the not too distant future when he's ready to come back. If I think of Clay related stuff I'd like you to research, I'll let you know. Right now it's late and I'm too tired. Actually I just thought of something. Not sure if you'd be able to get an answer to this though. I'd love to know how Ben, Clay's musical director, was able to perfectly time everything during the tour using both live musicians and pre-recorded background vocalist tracks. Obviously a computer was involved somehow and I'm interested in how he made it all work. I was amazed by the info that Facebook is SO much bigger than Twitter. I post and read on both, but I thought Twitter was by far the most active social networking site. Thanks for the interesting post, Musicfan. Error: Error validating access token: Session has expired on Tuesday, 21-Aug-18 16:13:01 PDT. The current time is Wednesday, 24-Apr-19 06:07:54 PDT.